Now, I retrieved these problems from an old book, so the cost of supplies are in the cents, don't we wish eh? I didn't want to change the amounts as it is sorta fun to look at what things cost back when. This is geared for the 3rd grade, but you can be the judge with your children's skill level. It also includes a space to work out the problem and to draw a little something such as hearts, flags, etc., whatever the problem is talking about. This is great for the little artists in your family, the ones who enjoy drawing, but it can be used without drawing anything also. 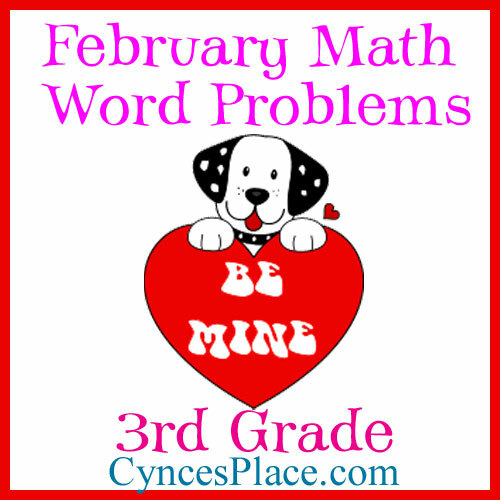 I hope your children enjoy these math word problems.